A five-year-old boy was rescued from a 37 foot well after spending TWO DAYS trapped inside. 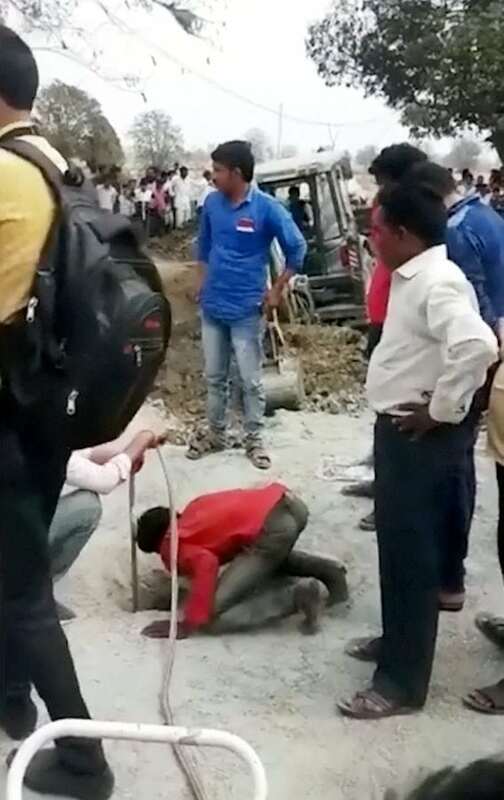 Roshan Singh was playing with friends in a field when he fell into the uncovered bore well, which was 117ft deep. The little boy was wedged at 37ft – which rescuers said was fortunate as if he had fallen further in the depths the chances of being rescued successfully would have been slim. The tot’s friends raised the alarm and told Roshan’s dad, farm labourer Bheem Singh. 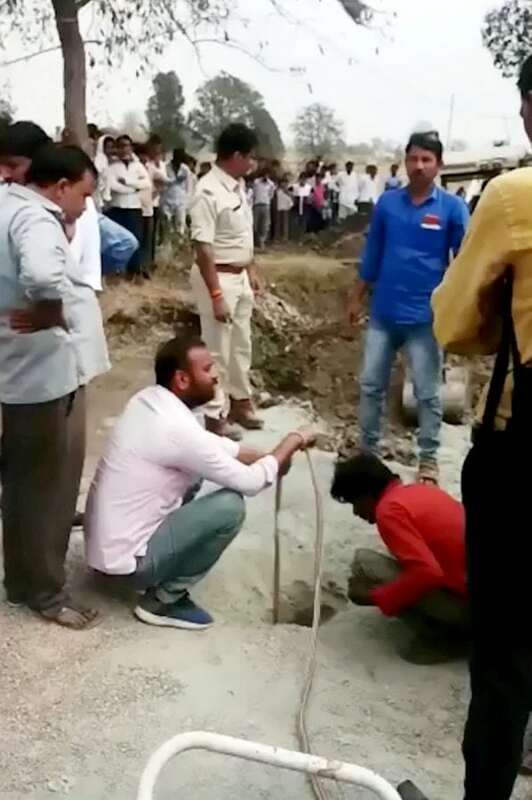 Police and emergency services rushed to the scene in Madhya Pradesh, central India, and ensured he was supplied with oxygen and milk. Friends and relatives called out the child’s name, and he was monitored using camera which were lowered into the depths. Soon ear movers and drilling machines were pressed into the service to dig up a parallel pit in the land near the borewell. The army were called in along with disaster relief specialists, who brought extra equipment. A parallel hole was dug and at 24ft the rescue team came across boulders that were difficult to cut or drill through. They drilled further to a depth of 40ft, and then drilled into the bore well to pull Roshan to safety after his 30-hour ordeal. 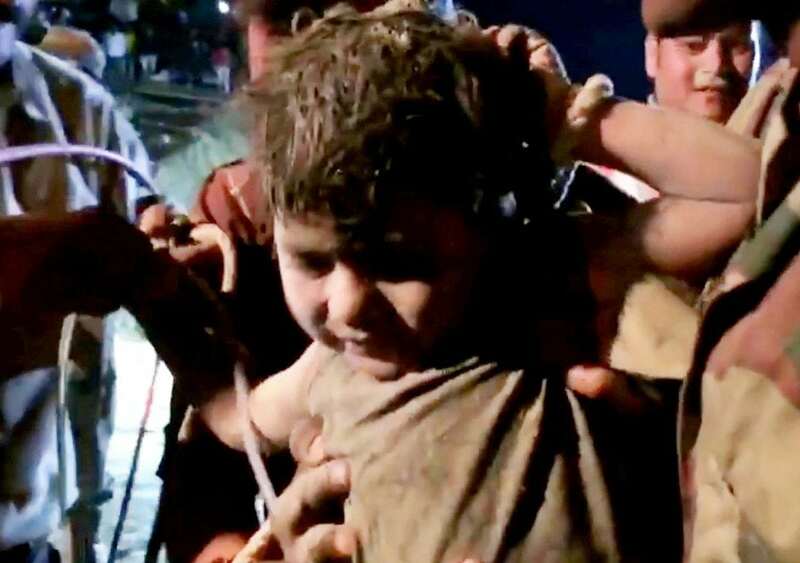 Roshan’s father, Bheem Singh, said: “I don’t know to thank the rescuers. “I can only tell you that you have given a new birth to my child.